Marghe, one of the top location to get your pizza fix in Milan: only 6 flavors some appetizers and a homemade dessert selection. The logo idea stemmed from a simple sketch that outlined a pizza: it was simple, yet powerful, creative and genuine. Just like Marghe. 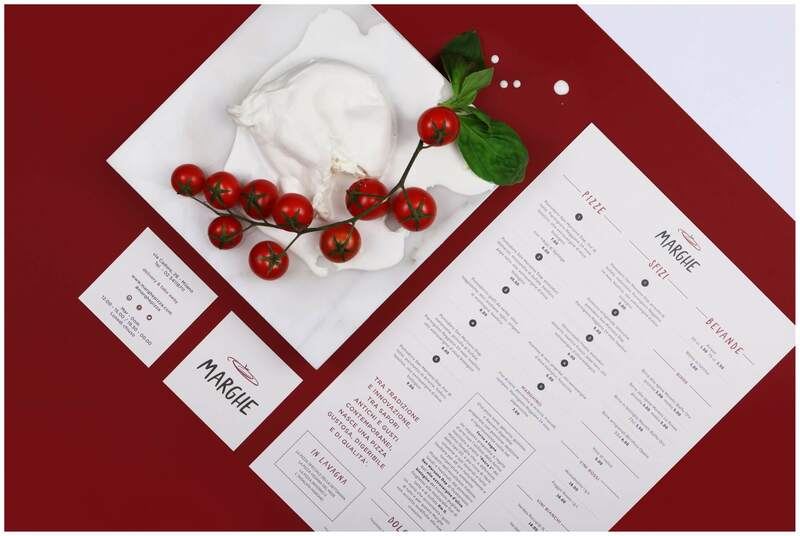 In Marghe’s recipes and in its brand identity, Italian tradition and innovation merge together, creating a balance between traditional flavors and contemporary tastes. For the new graphic project I created the logo, all printed materials such as menu, tags, business cards, cases and napkins as well as a tailored custom-made font for a complete turn-over of the brand’s aesthetics and identiy.